Forming in the early '70s, Magnum (led by guitarist/songwriter Tony Clarkin and vocalist Bob Catley) released a one-off single on CBS in the mid-'70s, their odd version of the Searchers' Sweets For My Sweet, which flopped, despite (maybe surprisingly) featuring keys man Richard Bailey on Mellotron, with string interjections alongside real flute. Unlike many of their contemporaries, they weathered the storm of punk, getting a feature story in much-missed UK music weekly Sounds a good year before the so-called 'NWOBHM' movement took off. 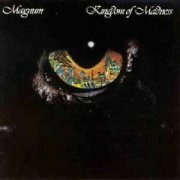 Their eventual debut, Kingdom of Madness (apparently recorded in '76, but held back for two years), is a superb album, sounding like nothing so much as a UK equivalent of Styx, but with more balls; a British take on Pomp, if you like. Or even if you don't. Although it doesn't really reproduce their onstage power, the album's production highlights their many-layered approach, with a largish array of keyboards including, of course, a Mellotron. Magnum were probably the first band I ever saw use one on stage, although they never exactly overdid it, ending up by hauling one around for a few chords at the beginning of one song. Odd. Anyway, Kingdom of Madness features it on four tracks on side two, although I can think of several other places it would've fitted perfectly; it's that sort of music. Bailey chooses to mostly use strings on the album, to considerable effect, although he never plays the 'Tron for more than a few bars at any given time. Subtlety is the order of the day, and it isn't until album closer All Come Together that he switches to the choirs. Much of the album's material was played a good deal heavier on stage, Lords Of Chaos being an example; the funky guitar and phased clavinet on the studio version being replaced by an all-out sonic attack live. Musically, the best bits of the album are probably opener In The Beginning and the sublime link after the laid-back acoustic strumalong Universe, where a short acoustic guitar/flute duet lurches into the title track via strategic placement of tape echo. Marvellous. 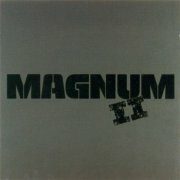 The following year's imaginatively-titled Magnum II has a slightly disappointing production, but is home to some great material, most of which formed the bulk of the set they were still touring the following year. Again, four Mellotron tracks; Changes was their attempt at an AOR hit, but good for all that, with some understated choirs on the intro, a trick they repeated for live set-opener If I Could Live Forever. Stayin' Alive and Firebird were the two tracks they chose not to perform live, probably a good move in the case of the former (another AOR attempt), and a probable necessity for the latter, possibly the most complex piece of music on the album. Both feature choirs, though, as always, with a degree of subtlety from which many other bands could've learnt. Presumably as a stopgap, Jet released the Magnum Live EP in 1980, featuring four highlights of their set, including some searing Mellotron strings at the end of All Of My Life. Before they knew it, the rest of their set crept out as Marauder, with one of the worst sleeve designs ever, a fuzzy, blurred take on the rather crap mailed fist of the EP's cover. However, the music's wonderful, so we'll forgive the label. Although the subtleties of the studio productions are lost, the band's sheer live welly makes this album essential, although there's only a couple of obvious bursts of Mellotron. The intro to Changes does the same as the studio version, but more so, while the end of Lords Of Chaos has some great pitch-bent strings. But what produces the vibes in Kingdom Of Madness, eh? Is that the third sound on their tape frame? I think we should be told. Incidentally, I've been told a story about this album from someone who knows, viz, the onstage recording quality was so poor that the band re-recorded the whole thing at the Marquee Studios, upstairs from the venue, leading to the nickname 'Live bass drum at the Marquee'. And no, I don't know why they needed to sync the studio recording to the live one. 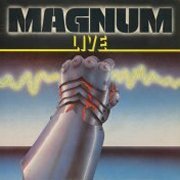 That was effectively that for Magnum's studio 'Tron, but a rather poorly-recorded live album from '82, Invasion, leaked out in '86 (who said 'label cash-in'? ), with the band supporting labelmate Ozzy Osbourne in the States. It's worth it for live versions of a couple of Chase the Dragon tracks, but the only 'Tron is a brief burst at the beginning of, yet again, Changes. All Of My Life substitutes string synth for the 'Tron; understandably, given the instrument's famed eight-second note limit... Vintage Magnum, from the same year, is no more or less than a sensibly-compiled 'non-album tracks' LP, including all of the Live EP on side two, and the remixed single version of Changes, with far more prominent choirs. '93's Archive Magnum promised a great deal, but couldn't really deliver, proving that outtakes are often what they are for a good reason. Four 1974 tracks show a disturbing trend towards soft-rock territory, and the four Kingdom of Madness leftovers don't really gel properly, and wouldn't have enhanced the original release if included. The only Mellotron to be heard here is on Without Your Love, a rather insipid piano ballad with some orchestral-style strings and overpowering drums. 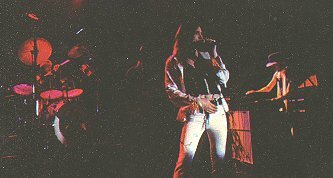 Lights Burned Out, from '79, is an early version of a track not officially released until 1982's Chase the Dragon, and is probably the last studio Magnum recording featuring their 'Tron, with some strings laid over the piano again. 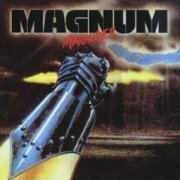 Although subsequent keyboard player Mark Stanway not only used it live but also played it on sessions, he never used it in the studio with Magnum. Shame. 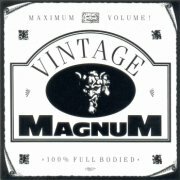 In 2005, Castle/Sanctuary (by this time owners of Magnum's back catalogue) released expanded versions of all their early albums, although their criteria for track inclusion seems slightly odd; the contents of Invasion, Vintage... and Archive... being spread over the various discs depending on where you'll find the track's original version. If you think this is a rather strange approach, you're in good company. Or at least mine. Anyway, on Kingdom of Madness, alongside the original album, you get nine of Archive...'s twelve tracks, plus, as a proper unexpected bonus, both sides of Sweets For My Sweet (reviewed above). Magnum II puts the relevant Vintage... tracks on the end, along with an entirely superfluous (and much later) acoustic take on Foolish Heart, with some lovely brass and, as a real bonus, a forgotten live b-side version of Changes. 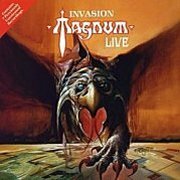 Marauder, unsurprisingly, adds the Magnum Live EP (although the tracks have never been put back into 'set order'), plus the five Kingdom of Madness/Magnum II tracks from Invasion, while Chase the Dragon adds various singles, more of those Invasion tracks and the early version of Lights Burned Out from Archive. As a result of all this messing about with bonus tracks means that none of their superseded later early albums, so to speak (i.e. Invasion/Vintage.../Archive...) are available any more. 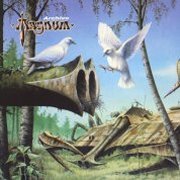 So; all Magnum's early albums are excellent, including Chase the Dragon and The Eleventh Hour from the early '80s, and On a Storyteller's Night has its moments, but I really wouldn't touch any of their later AOR-slanted material with a bargepole, to be honest. 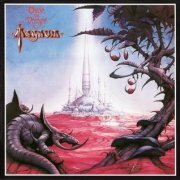 Kingdom of Madness and Magnum II are probably their best for the 'Tron, but it was never central to their sound, so don't expect any full-on Mellotron Classics. Incidentally, an early soundboard recording, Days of Wonder: Live 1976, appeared in 2000, containing large chunks of the apparently already-recorded Kingdom of Madness, a couple of tracks held over until Magnum II, a couple of b-sides, an early version of their take on Runaround Sue and, interestingly, several tracks that only finally appeared on Archive Magnum. However, no Mellotron. In fact, Richard Bailey's rig was extremely limited at the time, doubtless due to financial constraints, but it's worth hearing for aficionados. Magnum's Mellotron period is largely covered by the official Marauder and Invasion, although it seems they owned a machine in 1979, if not earlier, as evinced by this half-hour BBC In Concert from that year, presumably taken from a BBC transcription disc, going by the vinyl crackle. It's a decent performance, if a little rough-sounding, with the keys too high in the mix, but fills a gap in their live record, with one otherwise unavailable performance in their debut's All Come Together, alongside another three tracks from that album and two from the forthcoming Magnum II. Mellotronically speaking, while Kingdom Of Madness isn't known for its live Mellotron content, Richard Bailey opens proceedings with a lush Mellotron strings/piano/synth intro with more strings halfway through (but what's making the vibes sound? ), the usual choirs and less usual strings on Changes and the principle reason this is here, the choirs on All Come Together, although they're only used for a few seconds at the beginning of the track. The pitchbent strings on Lords Of Chaos, as on Marauder? Nowhere to be heard. Is this worth grabbing? Magnum fans: yes. Everyone else: no; not even enough Mellotron to tempt you lot unless you're already into the band, I suspect.